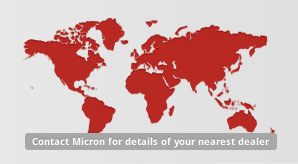 Micron will be exhibiting at EIMA, Bologna Italy from 7-11 November with our partner company Goizper Group. Please visit us in Hall 30, Stand C/11bis. Please visit us at Fruit Focus at NIAB EMR, East Malling, Kent on 19th July 2017 on stand number 357.